One of the things I absolutely *LOVE* to do here at Be Stylish is to take a complete outfit, reverse-engineer it, then tell you how to put it back together for yourself. But classy suits and silk slim ties is not the only thing that’s stylish. 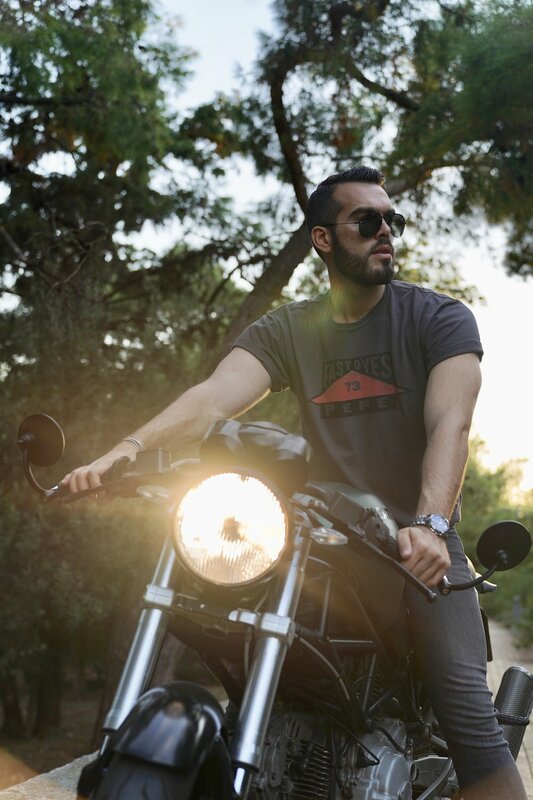 A biker look can show just as much style as the most expensive suit IF you wear it in the right circumstances. Plus, you need to BE the kind of guy who would wear something like this. 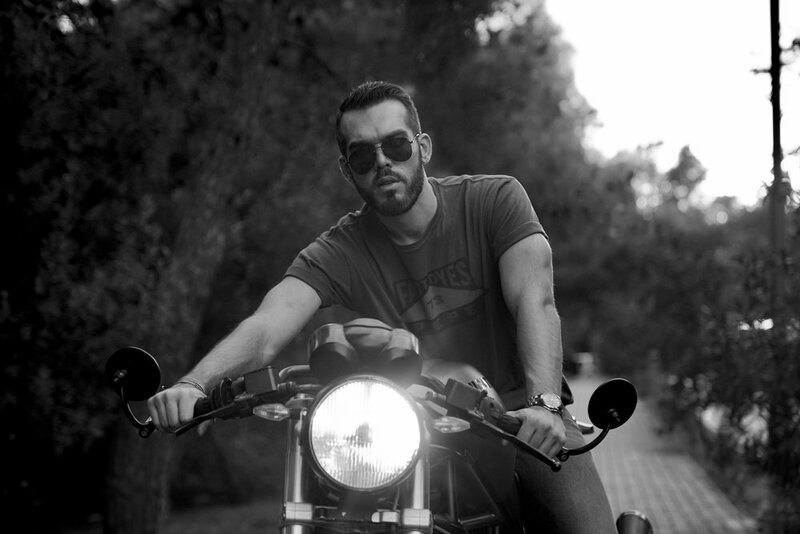 Today I want to present to you a classic biker look. The black-grey t-shirt and jeans are everything you need. You don’t need much help here, just go for some simple denim. Boots! if you’re really going for that biker look, the books will make the whole difference. Just imagine Dustin in wearing black leather shoes instead. he wouldn’t make that much of a fashion statement in that case. Add to the boots a leather belt, a cool haircut and we’re done… or are we?